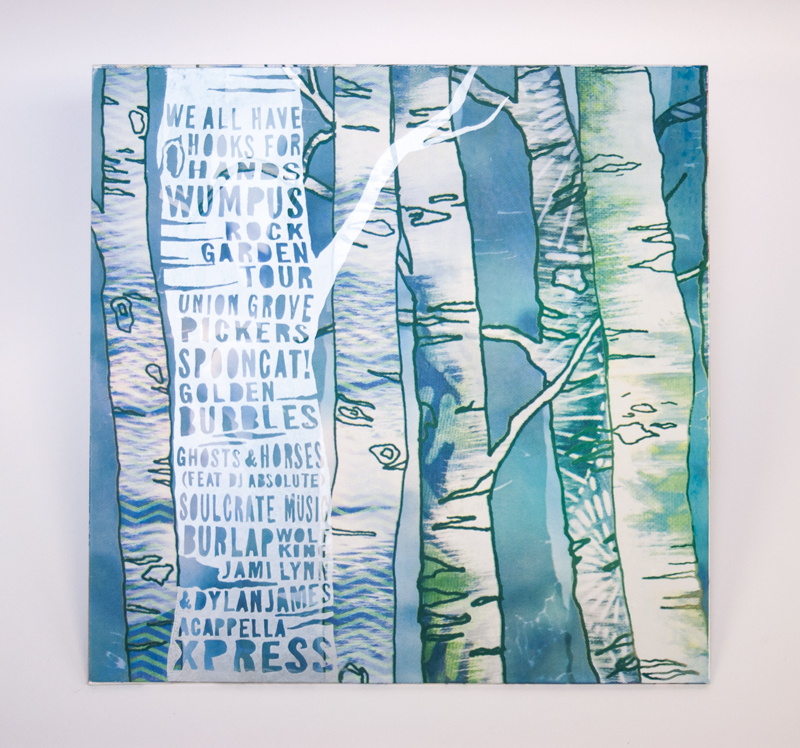 Part of a group invitational, this record jacket was commissioned by the Ipso Gallery in Sioux Falls, South Dakota. 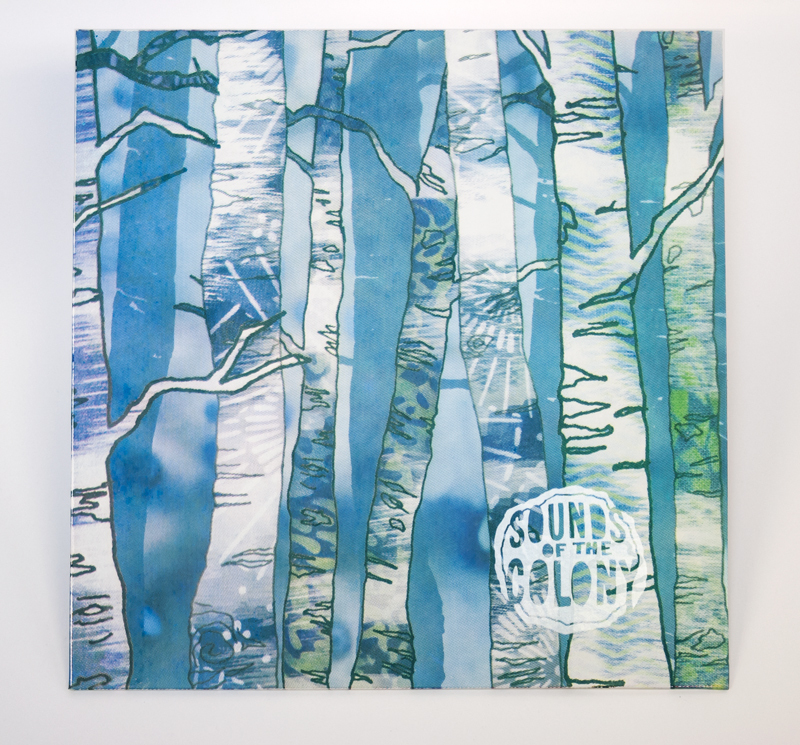 The concept of the show was for ten silk screen artists to design a cover inspired by one of the songs on the Sounds of the Colony album. The album features local musical and artistic talent and raised funds for Cinema Falls, a local organization of independent film lovers. 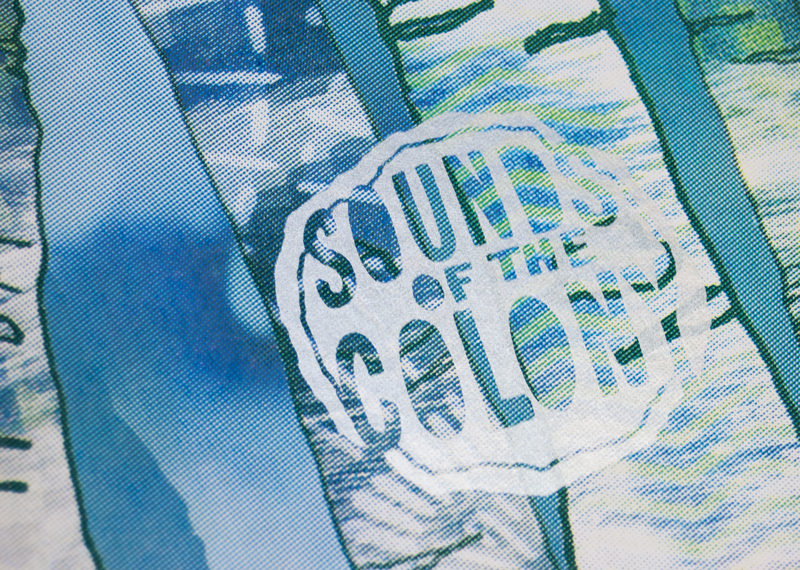 The album cover was my first foray into silk screening process colors by hand. 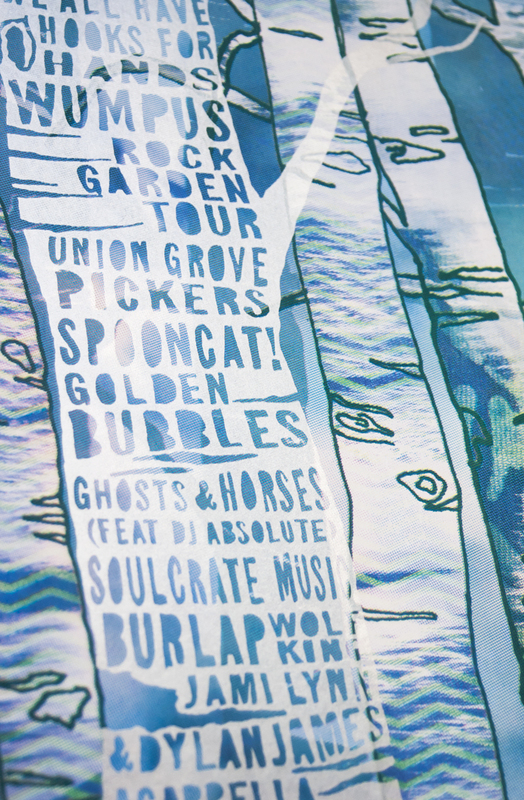 The final design was five colors (CMYK + metallic silver).